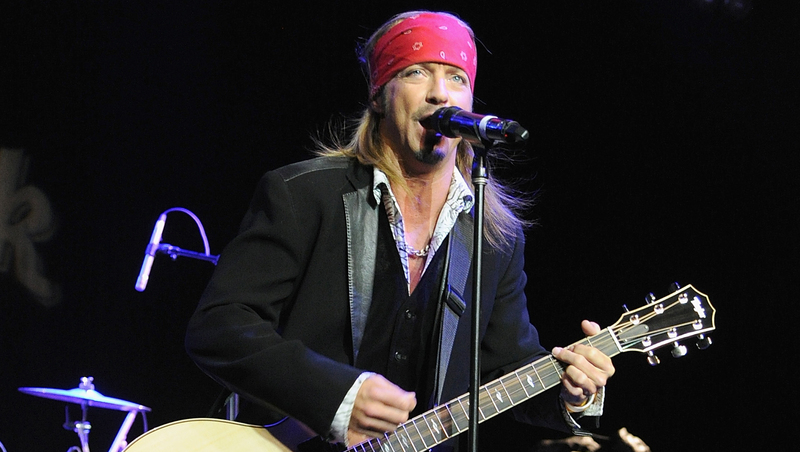 Bret Michaels pulled the plug early on a New Hampshire concert Thursday night after suffering a medical emergency. Guitarist Pete Evick took to the rocker's Facebook page, noting that Michaels, who's had Type 1 diabetes since he was a child, was rushed off the stage three songs into the set in Manchester, N.H. He wrote, "In the 9 years I've stood next to him, I've never seen a look like the one on his face as if I was a complete stranger. One of the crew returned instantly to notify me that Bret's blood sugar was extremely low." The statement continued, "He returned to the stage only to announce that he could not continue. As you all know he is a health fanatic and fiercely monitors his blood sugar, he basically had to be dragged off the stage in his sickest of conditions. When I rushed to the bus he could barley speak, but begged me to apologize to the fans and seemed only concerned for them." Michaels' team later thanked paramedics who helped Thursday night, noting, "No words can thank you enough for your help." In 2009, Michaels, 51, was struck in the head with a set piece while at the Tony Awards, causing a brain hemorrhage. During his first stint on "The Celebrity Apprentice" Michaels helped raise money for the American Diabetes Association.